True Torah Jews wishes congratulate President Donald Trump on being swore in as President of the United States of America. May he lead America on a path of economic prosperity and guide our nation with wisdom. 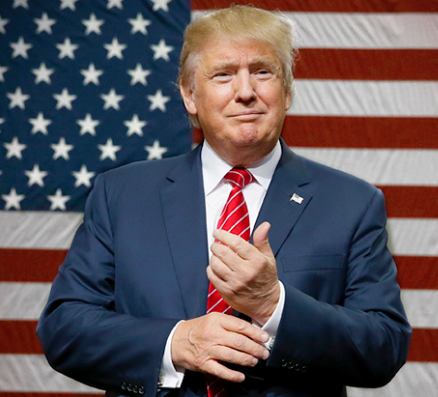 May He Who grants salvation to kings and power to princes, Whose kingdom endures forever, Who saved His servant David from the sword of his enemies, Who makes a path in the seas and a road in the mighty waters – bless, keep, guard, assist, exalt, empower and uplift our honorable President Donald Trump. May the King of kings in His mercy give him life and guard him, save him from all misfortune, tragedy and harm, and grant him success. May He make him victorious in his battles and successful in all his undertakings. May the King of kings, in His mercy, place mercy in his heart and the hearts of all his advisors and cabinet members, to deal kindly with all peoples, including the Jewish people.